Make a statement in a youth or guest bedroom with this contemporary Denley bunk bed. It features a twin bed over a full bed for convenience that's also eye-catching. 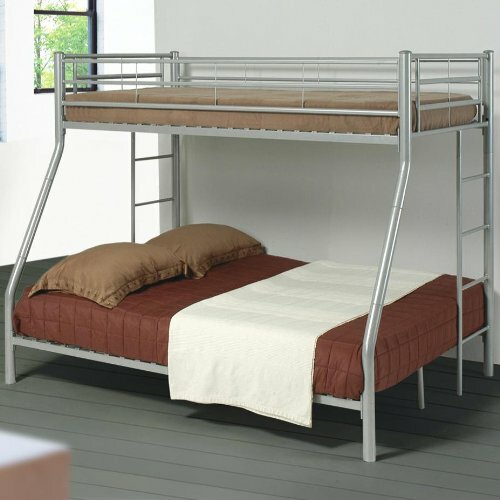 Top bed has guard rails and connects to the bottom with a coordinating ladder. Bed is constructed with strong two-inch metal tubing and has a clean, crisp silhouette. It comes in silver metal with an option for a black finish, as well.